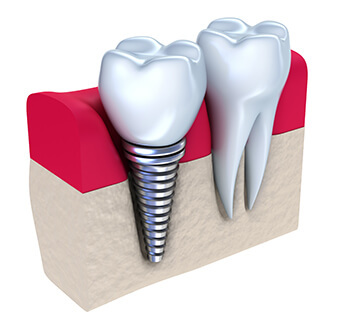 Bone grafting is regularly connected with bridgework, dental implants and other dental rebuilding efforts. The success of bone grafting usually depends on the height, depth and width of the jawbone at the site of the implant. If your jawbone has receded or there is damage, the implant may not be supported and a complete restoration may be needed. Periodontal Disease – Periodontal disease can influence and forever harm the jawbone that supports your teeth. When left untreated, gum disease may get worse until the teeth become unstable. Tooth Extraction – Studies show that patients who had a tooth extraction will lose 40-60% of the bone encompassing the extraction site within three years. Loss of bone is known as a “bone deformity”. Injury and Infection – Dental and other physical wounds resulting from a hit to the jaw can make the bone weaker. Infections can likewise bring about the jaw recede in a comparable way. Bone grafting is the best option to solve missing teeth, infected teeth, or tooth disfigurement problems. Bone grafting can expand the size of the jawbone and fill voids and deformities. Jaw Stabilization – Bone grafting helps reestablish jaw foundations making them ready for restorations. Disfigurements can likewise be fixed and the rebuilding of the bone can give included support. Conservation – Bone grafting can restrain or counteract bone recession after a tooth extraction, periodontal infection, or other harmful procedures.